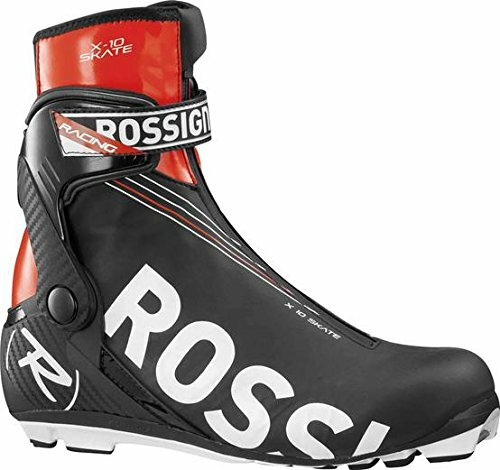 Rossignol X10 Skate Boots Black/solar 38 by Rossignol at Notakem Bara. MPN: RID300W. Hurry! Limited time offer. Offer valid only while supplies last. A high-performance racing boot, the X-10 Skate gives you maximum stiffness and ankle support for skate skiing, roller skiing and Nordic ice skating. A high-performance racing boot, the X-10 Skate gives you maximum stiffness and ankle support for skate skiing, roller skiing and Nordic ice skating. Available in European sizes 38-48, full sizes only. Compatible with all NNN bindings (except NNN-BC). If you have any questions about this product by Rossignol, contact us by completing and submitting the form below. If you are looking for a specif part number, please include it with your message.